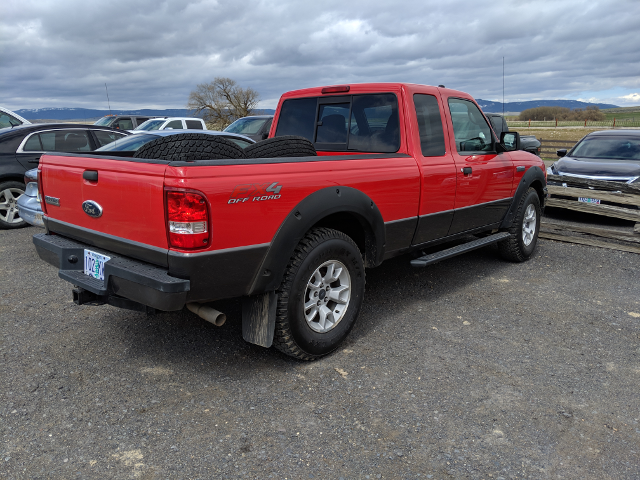 I just purchased a SUPER clean 2009 Ranger FX4 for a daily commuter. We have a 2016 RAM 3500 that I purchased for hauling our fifth wheel after retirement, but wound up with about 52,000 on it just driving for work. Made no sense, so I started looking for a commuter truck. Had a 98 S10 for a while, but wrecked it about a month ago, so started looking around. Don't know if you've seen the used truck market prices lately, but I was absolutely shocked! $10,000 and up for Toyotas with 215, 230, 250 and even 300k miles on them! Rangers are out of sight, and even Nissan, Mazda, and other brands command big bucks. Almost paid $7900 for a 2005 Tundra with 217k on it in Boise last weekend, but crawled underneath it, and it was a flood car from another State. Idaho will let you 'sanitize' a title. Took one last look on CL before going to bed Saturday evening and found this beauty. You could eat off of the floorboards, it's so clean, and got it for under $10k. Looking forward to checking out this board, and getting tips and tricks to keep it nice till I sell it after retirement in a couple of years.